is a freelance Education Consultant based in Addis Ababa, Ethiopia. He did his Masters in TESOL Teacher Development at the University of Leeds, UK. He is also CELTA certified. 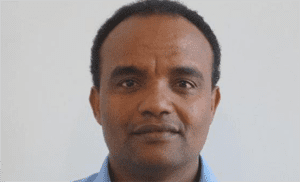 He is the Founding President of the English Language Professionals Association in Ethiopia. He has considerable experience in ELT as a teacher, teacher trainer, researcher, programme manager and consultant, and has carried out consultancies in Djibouti, Nigeria, Senegal and Zambia. He has a special interest in literacy and the place of Teacher Associations in the professional development of teachers. He has extensive experience of designing and facilitating a range of workshops for teachers and teacher educators – Teacher Training, Soft Skills, and Training of Trainers – and in designing projects from inception to evaluation. He is an experienced team leader, and has presented at/chaired at a number of international conferences.